Big Ideas Programme: Scotland in the 21st Century – A Changing Nation? Over the last 18 months we’ve introduced a new strand of programming for senior school students. 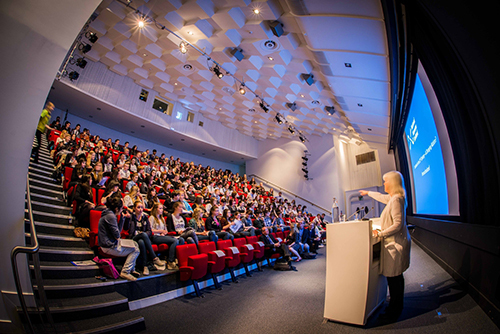 Our Big Ideas programme gives young people the opportunity to debate current issues, in the context of the Museum’s collections, to hear from high profile speakers and to network with other schools. The programme focuses on broad curriculum topics such as citizenship, international development and climate change. 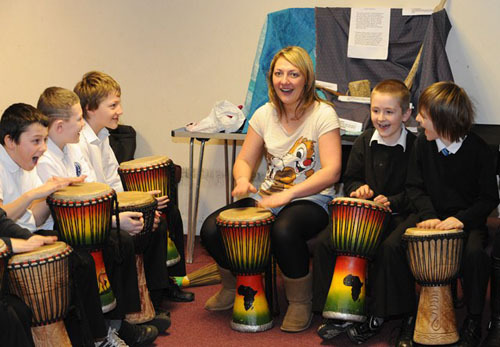 Past events have included our successful Scotland to Malawi Event and Architecture Conference. Our most recent event, held on 12 June 2013 at the National Museum of Scotland, was Scotland in the 21st Century: A Changing Nation? Chaired by broadcaster Lesley Riddoch, speakers included political commentator Gerry Hassan, Lands campaigner and writer Andy Wightman and Shetland’s representative on the Scottish Youth Parliament, Emily Shaw. Senior school students at the Scotland in the 21st Century conference. We introduced young people’s voices right at the start of the day – captured in a film ‘Scotland 2020’. This was made in advance of the event, from interviews with students who were already booked to attend. This film ensured that the whole programme was driven by the views and questions of young people – and set the perfect tone for the day. Inevitably the discussion turned to the referendum, since many of the young people will be able to vote next year. However pupils, teachers and speakers all understood the value of a debate about the challenges our country will face in terms of education, employment, energy and land resources regardless of the outcome of the referendum. Many of the stories at the heart of this debate are reflected through our collections, and pupils had the chance to discover Scotland’s changes through objects on display in our galleries, from the Lewis chess pieces, representing Scotland’s early history, to Salter’s Duck, part of a display on alternative energy sources in our 20th century gallery. The trusted neutrality of the museum makes it a great venue for young people to come together and talk about issues that matter to them. However it was great to see 200 young people looking at our collections from a fresh perspective and contributing actively to a debate about our future. 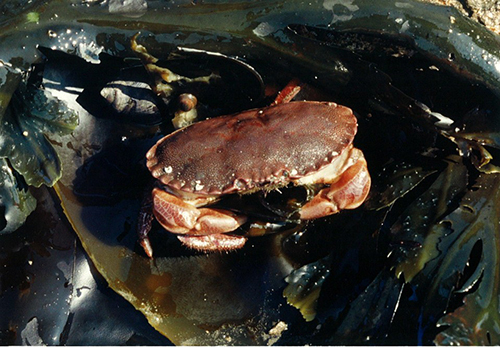 Next academic year we will be grappling with our future energy needs linked to our new galleries and looking at climate change from the perspective of our source communities. As part of the revamp of the National Museum of Scotland, The Robertson Trust donated a large sum of money toward the development of a brand new Learning Centre. They also funded an outreach project which would expose the museum’s collections to previously unreached audiences, encouraging these families to visit the museum for themselves. For more than a year I have been working in partnership with three schools, to deliver this project. Methilhill Primary School Fife, Park Primary Clackmannan and Knightsridge Primary School, West Lothian. The plan is to put together one box of handling items per school from our collections that could be loaned out to other schools, giving a flavour of the fantastic objects we have here at the National Museum of Scotland. 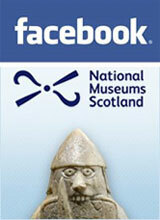 These will be officially launched in May at the National Museum of Scotland. The pupils and teachers picked their topics, based on themes from the new galleries – Africa, Rainforest and the Carnival of the Animals. Next I got together objects from our handling collection to give to the pupils to research. 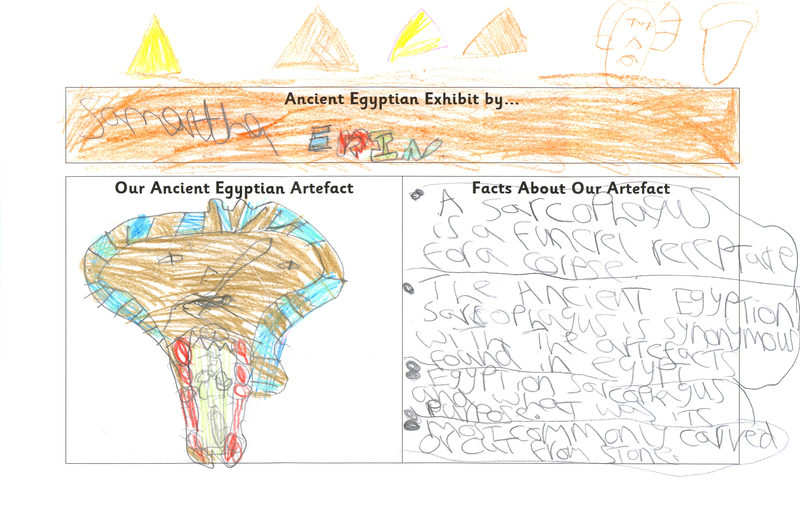 They visited the museum, asked curators questions and did their own independent research. 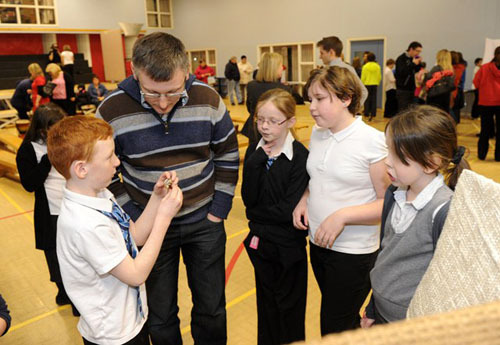 Last month we ran a community day at Methilhill Primary and Community School, giving pupils an opportunity to show off their work to other pupils in the school, their parents and wider families. 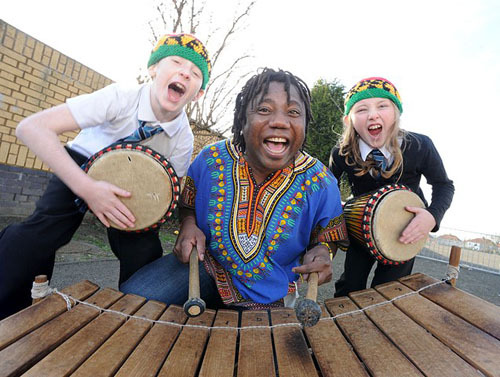 Pupils, parents and teachers took part in an African drum and music Workshop lead by Chief Sulemen Chebe before performing to their parents later on. Chief Suleman Chebe with pupils. 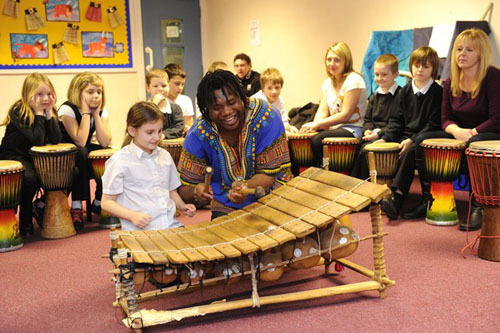 Chief Suleman Chebe demonstrates the xylophone. Setting up a display of African objects. Pupils explained their exhibitions to parents. Showing parents objects from the displays. Parents could also get involved with the musical entertainment! In this video the pupils explain in their own words what the project has meant to them. Our trip to the museum was wonderful, we all had a lovely time. First we walked through the museum to get to our room and we passed some lovely, interesting things like a giant plane hanging from the ceiling, an old-fashioned motorcar, a magnificent old clock and much more awesome things. When we arrived at our room we sat and Mr Hull told us a bit about the rainforest. Then he gave every group an artefact and told us to guess what it was. My group had elephant skin. It was rough, grey and wrinkly. Once we had talked about our artefacts he gave every pair a picture of an animal that we had to find in the animal exhibit. Me, Leona and Raegan had a Bengal tiger, which didn’t take that long to find. We found out loads of information that we didn’t know. After we found out our information we were allowed to look in the space exhibit for a little while. I preferred the animal exhibit though because they had so many amazing sea and land animals like sharks hanging from the ceiling and lions on the rocks – it was absolutely fantastic! Standing in front of the amethyst geode in the Restless Earth gallery. After lunch we walked through the museum to go to more exhibits. At one exhibit I put my hand through a hole and felt something slimy and I squealed, I daren’t check what it was. At another exhibit I got to smell through a speaker thing to smell a skunk (it stunk). I saw many wonderful videos of Earth and Space as well. 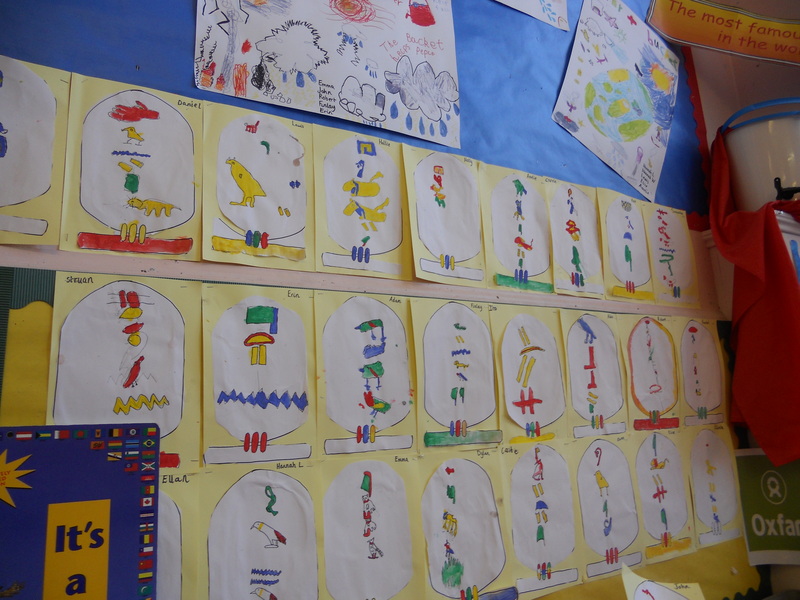 We wandered round for a while and then headed back to our room to make rainforest bugs. Watching the video in the Earth in Space gallery. Mr Hull handed out some dough type things to everyone to make rainforest bugs to help us think about hiding in different environments. I made a snail and put it where I thought it would go well. We got to take our bugs back to school to display and show people what we had done at the museum. We said thank you to Mr Hull and had one last walk round the museum before we got back on the bus and set off back to school. We had a lovely day at the National Museum of Scotland. 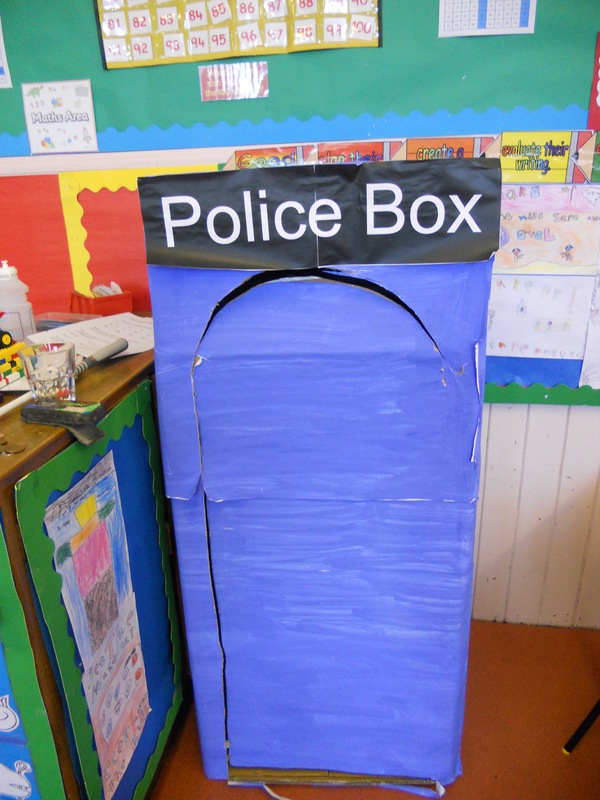 Lucy’s class visit was part of the Robertson Trust funded project which is working with schools to develop boxes of museum objects available for free borrowing. Find out more on the Community Engagement web pages. 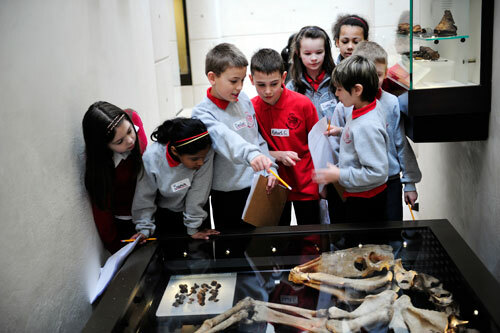 Our fantastic new schools programmes for 2011-12 are online now, packed with activities and resources at all five national museums. 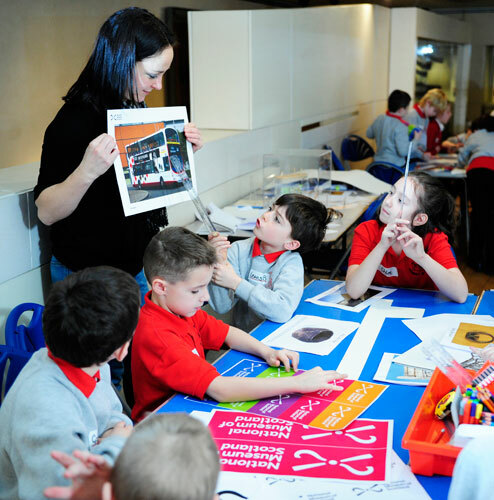 This year we are offering a whole range of new activities for schools at the transformed National Museum of Scotland, which opens on Friday 29 July. Our Learning team has developed exciting, inspiring and engaging cross-curricular activities built around the key capacities of the new Curriculum for Excellence. 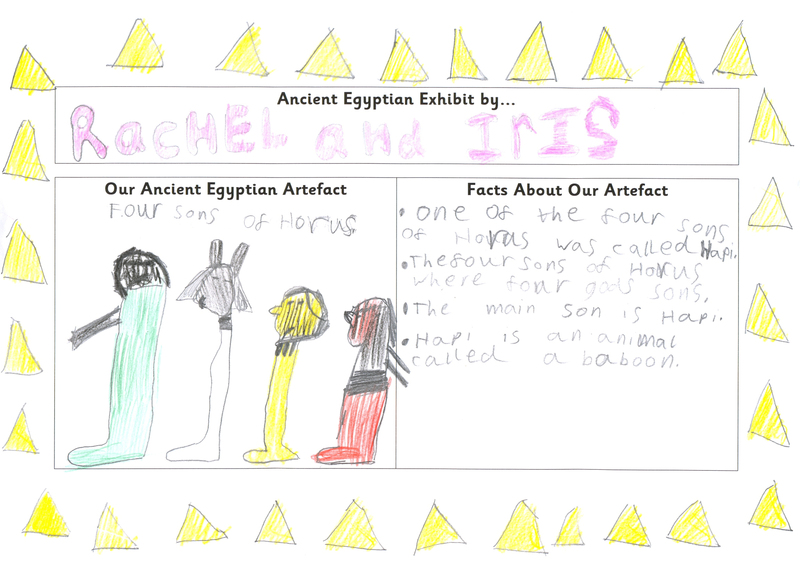 One of the programmes we have piloted very successfully this year is Create Your Own Exhibition, where pupils can explore the process of creating an exhibition, from object handling to exhibition design. 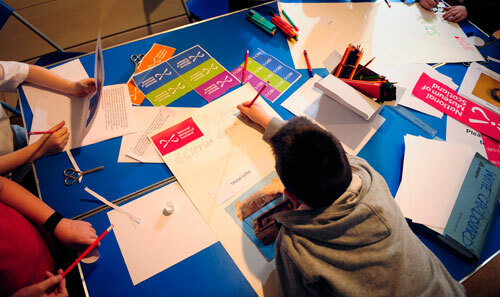 This programme can be adapted to suit all school visits: the content of the workshop and gallery visit can usually be tailored to suit the pupils’ current study topic, and the skills acquired during the workshop can be used in connection with any topic at all. 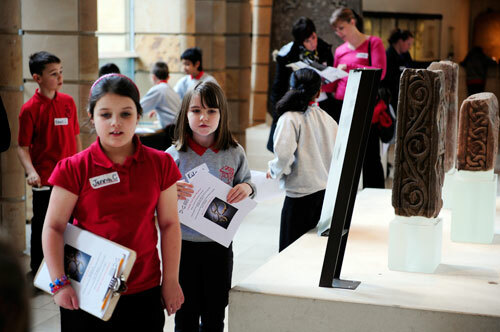 Pupils examining objects in the National Museum of Scotland. 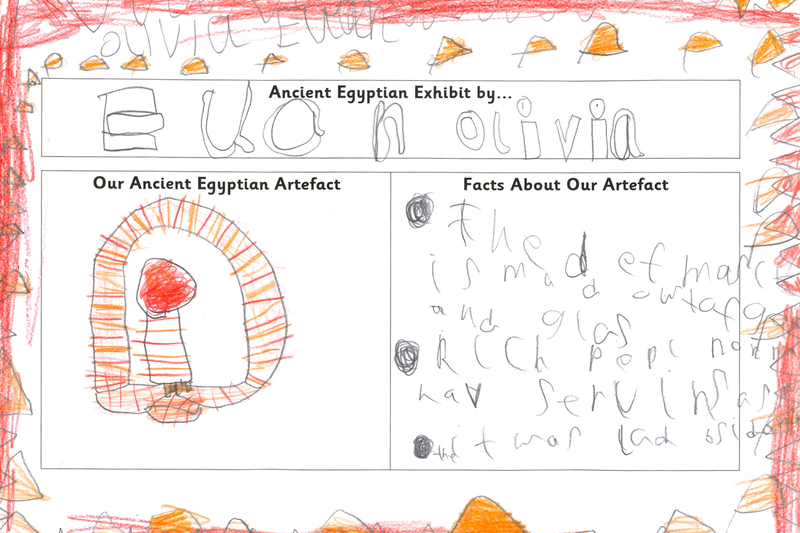 Pupils begin by exploring and recording what they can see in the Museum’s own exhibitions. They then hear from a number of our expert staff, including Maureen Barrie our Exhibitions Officer, Fraser Hunter our Principal Curator of Iron Age and Roman Collections, Jan Dawson from our Design team and Kerryn Fraser our Marketing Officer. All these interviews and more can be found on our website in the new workshops section. Where to advertise the exhibition? On the side of a bus, of course! Pupils designing posters for their exhibition. 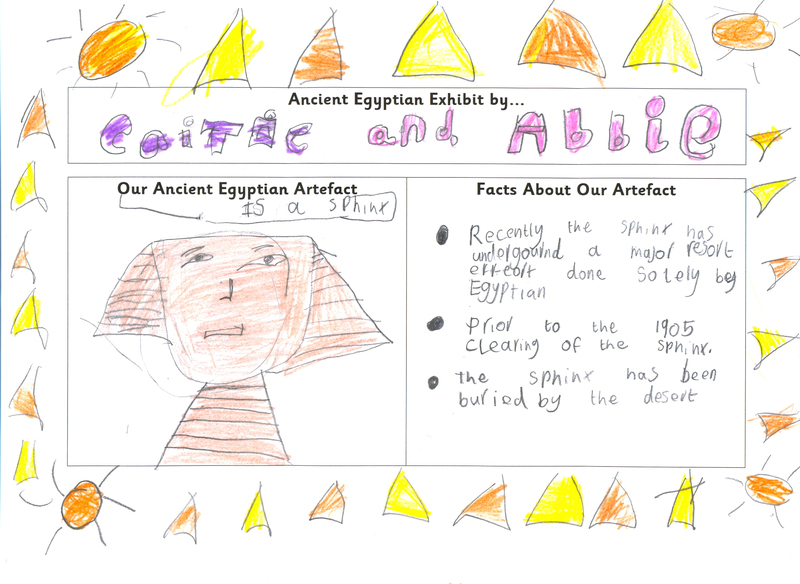 After investigating and handling their own artefact and learning to write object labels and story panels, pupils launch into 2D and 3D design. We encourage team work to decide how best to organise objects into an eye-catching and informative display. 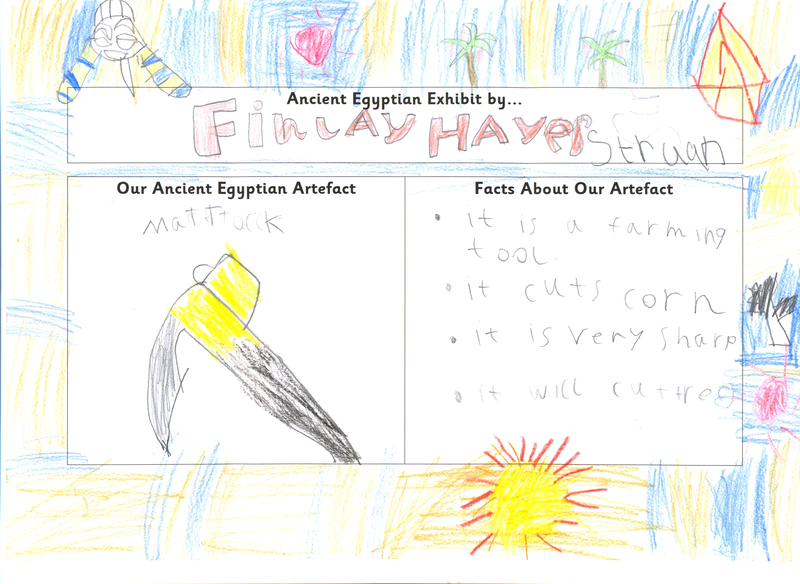 After all their hard work to create an exhibition, the children become Marketing Officers, learning about how to make sure that people will come to see their masterpieces and designing posters with all the appropriate information. We can also reach schools who are unable to visit our Museum in person, via the Glow digital network. Our Learning & Programmes team has been working closely with Learning Teaching Scotland to participate in a number of Glow Meet sessions. 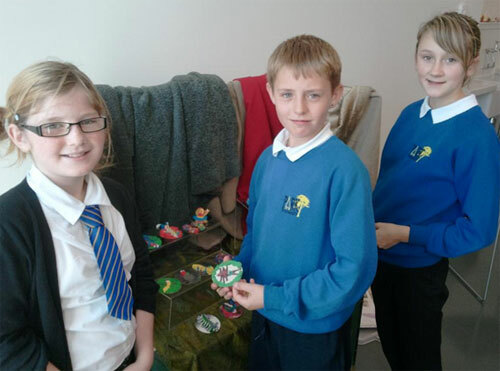 Port Ellen Primary School on the Isle of Islay has already taken part in Create Your Own Exhibition via Glow. 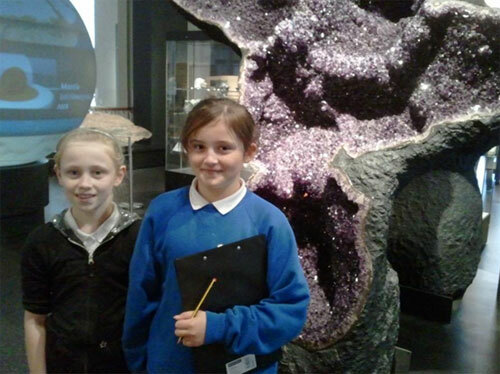 In preparation, they visited their own local museum, looking closely at exhibitions there before logging on to Glow and taking part in the Create Your Own Exhibition programme led by me and my fellow Enabler, Scott Neil. 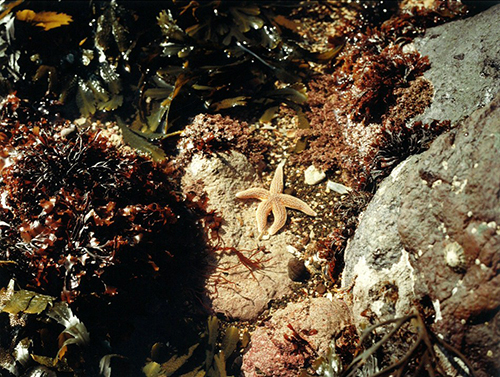 Using a slideshow to show what they would have seen in the National Museum of Scotland, the Port Ellen class completed all activities in a successful four-hour session. 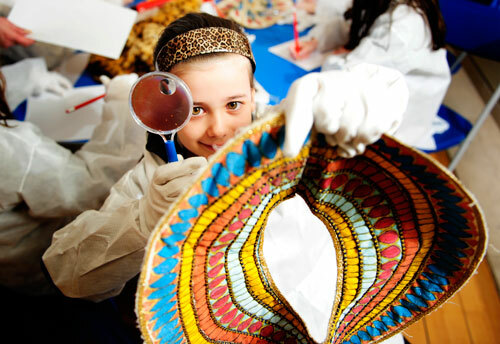 In addition to promoting closer connections with local schools across the country, we have now put into practice a system which provides schools who cannot easily visit our museums with effective and informative programmes and encouraging communities to look at their own local museum collections. This flexibility in delivery ensures that all our programmes are both suitable for and attractive to the widest possible audience. 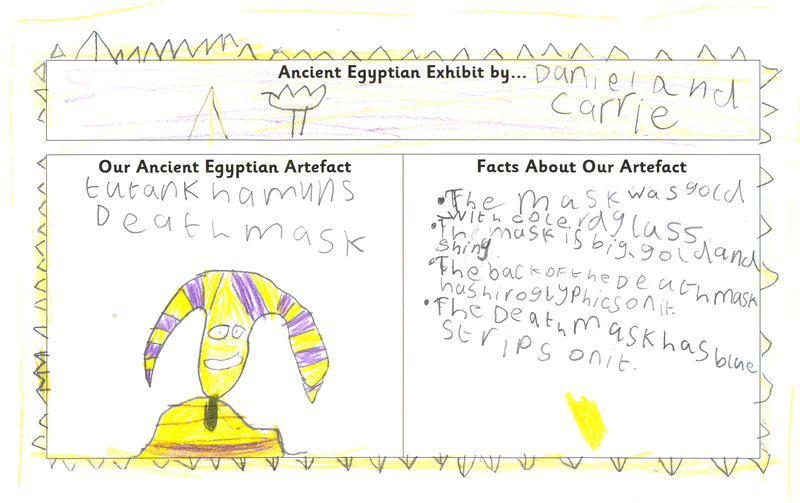 Programmes such as Create Your Own Exhibition give pupils a museum experience they couldn’t get in the classroom and highlight that museums can be fun as well as informative. 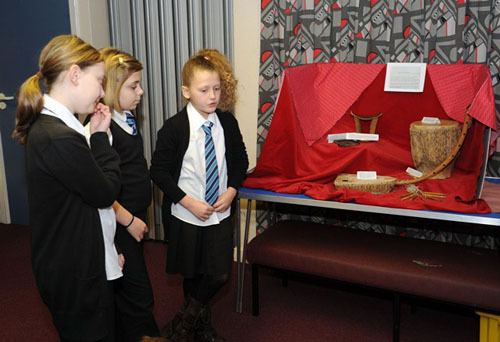 Pupils investigating artefacts for their exhibition. This week I had a very rewarding time adapting the workshop to meet the requirements of a special needs school, focusing more upon object handling and discussion. 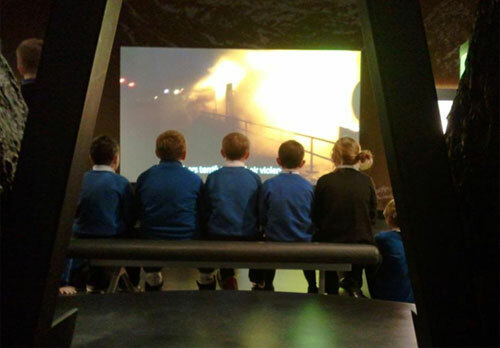 The pupils produced impressive displays and were keen to explore some of the Museum’s larger exhibits such as the Newcomen Engine. A teacher later emailed to say that one pupil was so inspired after his visit that he was planning which bus he could take to the Museum to come back at half term. You can download the new primary and secondary school programmes here. My role is to design an exciting new programme of workshops and resources that encourage schools to visit the museum and support them in the delivery of a Curriculum for Excellence. To hold this post at a time of museum redevelopment as well as curriculum reform is incredibly challenging but it is a challenge I relish! The design of the schools programme has recently begun to move forward in earnest following an excellent consultation with the Royal Museum Project Education Panel. I’m also hoping to develop a pupils’ panel as who better to advise on our resources that the teachers and pupils who are going to use them? 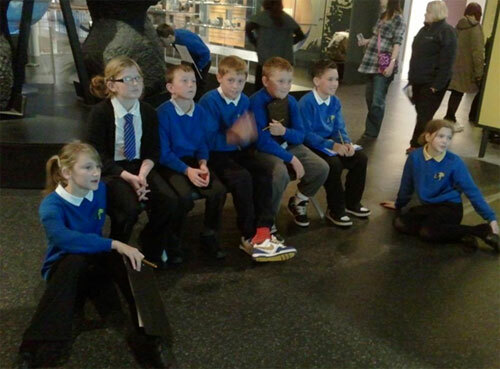 Pupils visiting the National Museum of Scotland. The great thing about my role is that I get the opportunity to work with so many interesting colleagues from across the museum. I’ve learnt so much simply chatting to curators about their galleries that I think it will be impossible for pupils not to be inspired by the new museum.